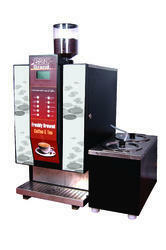 We are a well-acknowledged name engaged in supplying and trading a wide range of Fresh Milk Coffee Vending Machines. Our offered milk vending machines are in accordance with the international standards and norms of the industry by making use of best grade raw material. 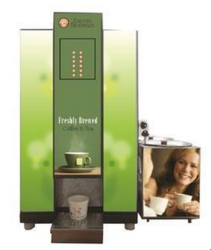 Automatic fresh milk coffee vending machine have become a part and parcel of any corporate set-up because of their versatility, convenience and cost-effectiveness. Within seconds, a hot, hygienically prepared beverage is ready for the pleasure of clients and employees alike!Digital counters and programming options give the touch of ergonomic modernity while hygienic dispensing and easy refilling options give a new dimension to vending. Ability to dispense high volumes at low cost are some of the key factors that has helped us stay unique!We have been actively embraced by many corp-orates and have become a favorite name in the vending industry. 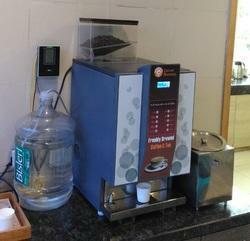 The automatic coffee vending machine gives you back to back the cup of coffee in a minute. You can easily fulfill your many numbers of employees or people in an office, School, Canteen, Resort, Cafe, Educational Institution Etc. Beverage Option - Ten Number of Drinks You can Get From this Machine Employees can easily get the refreshment back to the work. 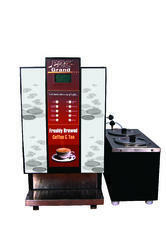 Special Feature: Touch Screen Option is Available in the Machine. 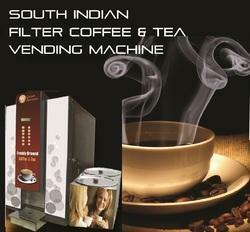 We bring forth a premium quality Filter Coffee Vending Machine. 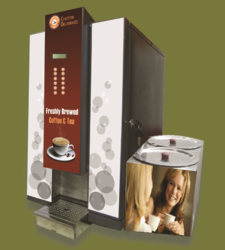 These coffee vending machines are manufactured under the supervision of our experienced professionals by utilizing the best grade material, sourced from the most authentic vendors of the industry. Prior to dispatch, we make these coffee vending machines pass a quality test to ensure that their compliance with international quality norms. 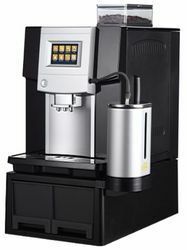 We are one of the reputed organization engaged in providing superior quality Fresh Milk Coffee Vending Machine. 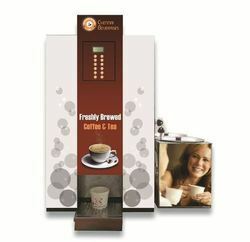 These Milk Coffee Vending Machines are easy to operate & install and finds wide application in various restaurants, canteens and several other offices as well as retail outlets. These can be availed at most affordable prices. 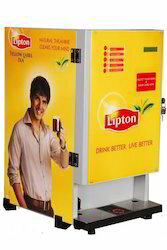 We are engaged in offering a wide range of Tea Vending Machine. Offered range of product is known for its precise specifications and high quality standards. Offered range is manufactured from optimum quality raw material and under the guidance of skilled and experienced professionals. 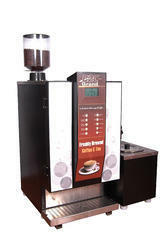 Offered range of product can dispense for different types of beverages at a time. Moreover, we assure to our valued clients to provide a quality tested range that can be delivered from our end at a leading market price. 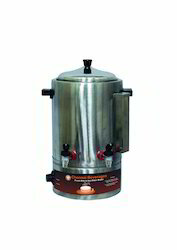 We are remarkable entity, engaged in offering a superior assortment of South Indian Filter Coffee Vending Machine that are designed and developed in state-of-the-art manufacturing facility considering highest standard by our vendors of usability and pleasant customer experience. Our clients can avail this range from us at market leading prices. 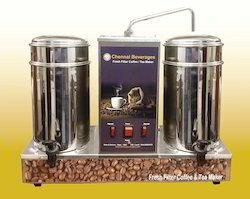 Looking for “Fresh Milk Coffee Vending Machines”?